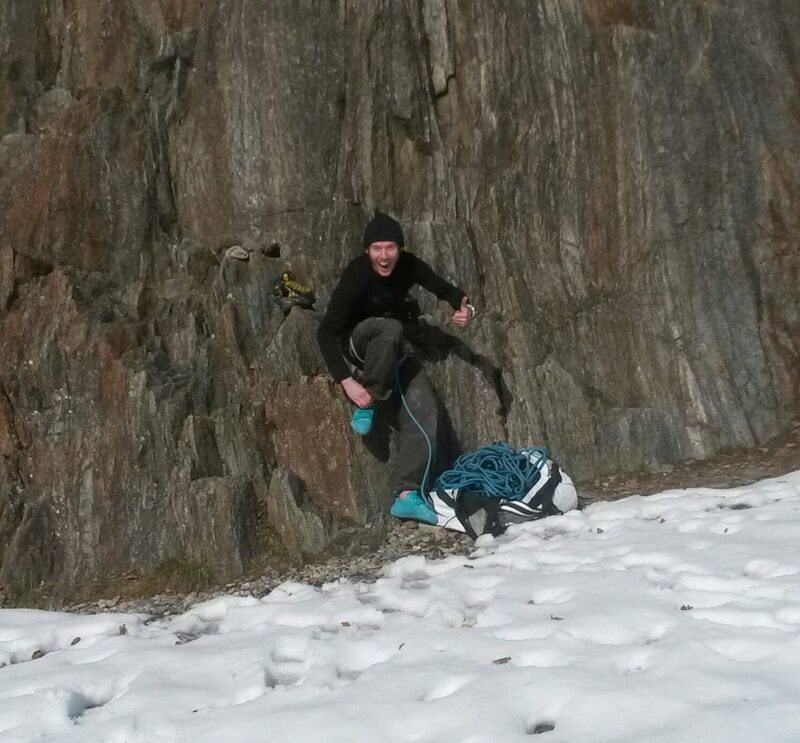 Rock climbing in Chamonix mid February? In the Sun?! Winters are not what used to be; at least in the Mont Blanc massif. After a night of heavy SE winds and rising temperatures it started to become obvious that we were not going to be able to ski any cool couloir in Grand Montets. After a long morning coffee, lots of wandering what could be good, quite some driving, more rising temperatures and a lot of melted snow in the forest area; it was then definitely that it was not going to be a ski day for me. 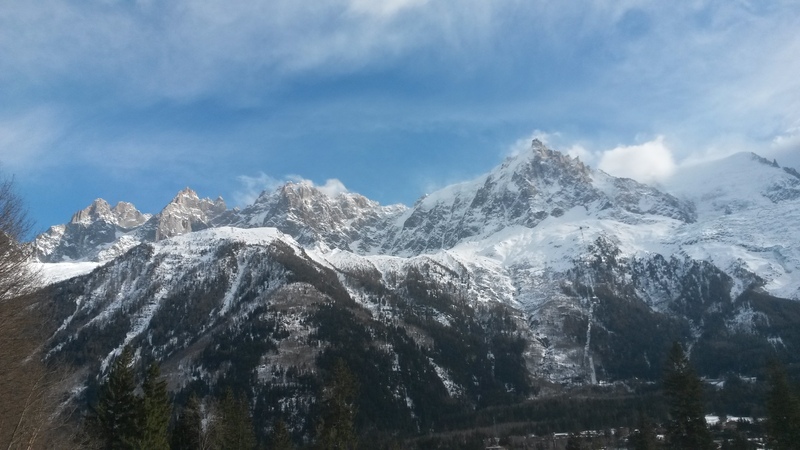 On the way back home I drove past the Gailland climbing area just outside Chamonix. Rock was dry, wall was on the sun and my car was pointing 8º. Yeap, that is for sure climbing conditions. I called my friend Jake, convinced him that spring was here and we headed to the wall. We took quite some clothes; obviously, it’s mid february, but the sun felt strong at the feet of the crag and it was baking towards mid wall. Unfortunately for us, that’s where all the cruxes are. 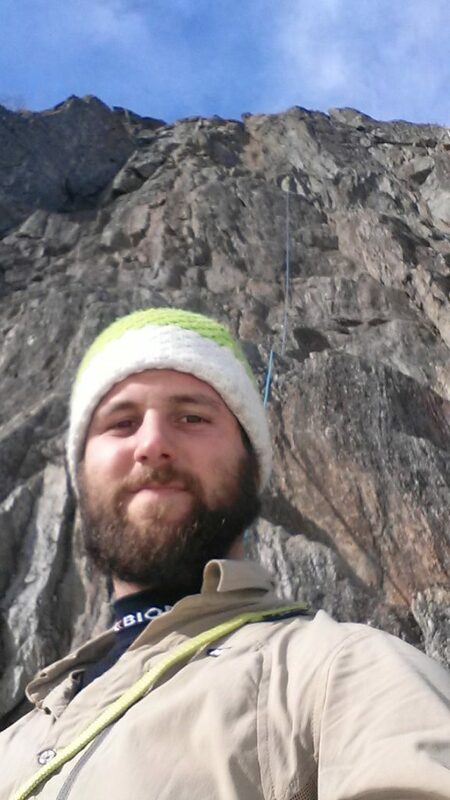 I’ll stick with the image of Jake rappelling down the second route so warm, that for some time he remained only in t-shirt. Last year, during the Christmas holiday, It felt extremely awkward to have to rock climb in Chamonix because there was no snow for Skiing. Of course, some winters begin later than others, however this time it is a whole different game. In Chamonix it feels like winter came somewhere last week, then lasted some days and now it could be perfectly easter time. The more time I spend on the Pyrenees and the more I get to know Chamonix, the more you will hear me saying that for skiing I’ll stick for sure to the Val d’Aran. But not everything is bad news for Chamonix. This january the valley has met some of the most solid Ice conditions in several years. That’s somehow the magic of this place; it is such a playground that you don’t need to rely all the way on skiing. It is for sure the place to be if you want to take your mountaineering to a whole new level. This entry was posted in Backyard Spots and tagged Climbing. Bookmark the permalink. ← Backyard spots: Meeting Mont Joly.